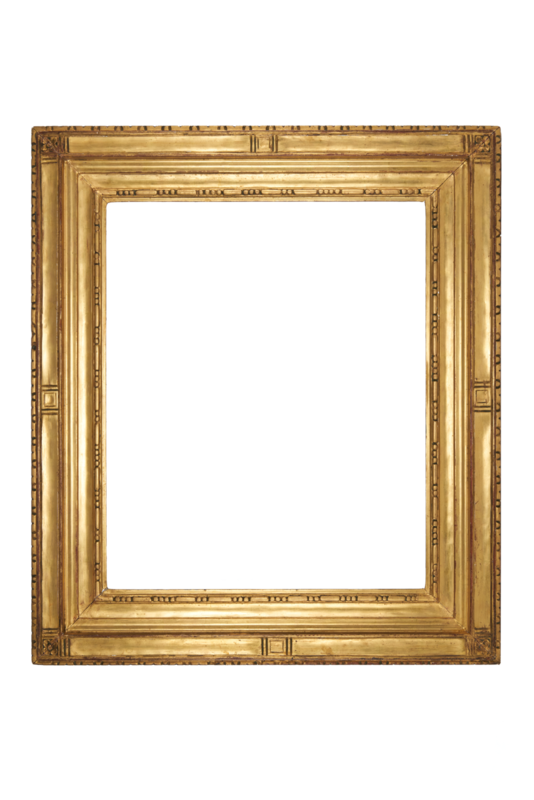 This is an America early 20th century frame, with carved ornament and gilded surface, made by the painter, designer and frame maker Charles Prendergast (1863 - 1948). The frame is signed and dated on verso: Charles Prendergast, 1903. Charles Prendergast was the brother of the American Post Impressionist painter Maurice Prendergast (1858-1924) and he often made frames for his brother's paintings. Early 20th century frames of this style are sometimes referred to as American Impressionist frames. While modern in their simplicity of line and ornament, the profile or shape of the frame is inspired by the Italian Renaissance cassetta frame.